Ground penetrating radar is probing the supposedly false walls in Tutankhamun's tomb. A few hours ago Egyptian officials ushered the last lingering tourists from the famed Valley of the Kings on the West Bank at Luxor. Ordinarily that would mean a dusky silence would fall upon the Valley, as the sun slowly sank below the horizon for another tumultuous evening of battling Underworld demons. Tonight however, a team of radar experts, having waited eagerly for the tourists to leave, have swung into action. Tonight, new ground penetrating radar will probe the burial chamber of Tutankhamun's tomb (KV62), looking to—once and for all—confirm or refute Nicholas Reeves' proposal that hidden chambers lying beyond false walls in the tomb. And it looks like this will be the decider. This will be the test that helps make up the mind of the new Minister of Antiques, Dr. Khaled El Anany. Hopefully this final test will reveal whether there really is something worth investigating behind those walls, or, as some suggest, the hollow sensed by previous tests is simply a natural feature of the bedrock in the Valley of the Kings, which is full of cracks and cavities. Tomorrow, at 2 p.m. local time, Dr. El Anany, will hold a press conference in front of Tutankhamun's tomb to discuss the results. The previous scans conducted last year were tantalisingly interpreted by the Japanese team conducting them as indicating organic and metal objects behind the walls. The theory put forward by Dr. Reeves is that the priests in charge of his funeral were caught by surprise when Tutankhamun died unexpected at around 19 years of age. The problem was that the royal tomb was far from ready. Ever resourceful however, the officials remembered the Valley's most recently-completed tomb, that of Nefertiti. The queen's burial was opened and reused for the young king's internment. If these new scans do indeed suggest that something is in there worth investigating, it is likely that a small hole will be drilled into the main hidden chamber via an adjacent room which has no decorations. A camera will be inserted, revealing what has lain undisturbed for 3,300 years. It might be another royal burial. Or it might simply be a storage chamber. Either way, let's hope we don't have too long to wait. The only unfortunate part of the press conference announcement is the date. April Fool's Day. If there IS big news, how many people, I wonder, will be unsure of whether it's a joke or not. Pictured is one of the treasures revealed when Howard Carter discovered Tutankhamun's tomb in 1922. This is an 'overseer' shabti, built to watch over the 365 'workmen' shabtis who were created to be Tutankhamun's deputies - tasked with working on his behalf in the next world. The latest issue of Nile Magazine contains the full back-story of the latest flurry of activity in Tutankhamun's tomb, along with the amazing photography that you've come to expect from Nile. 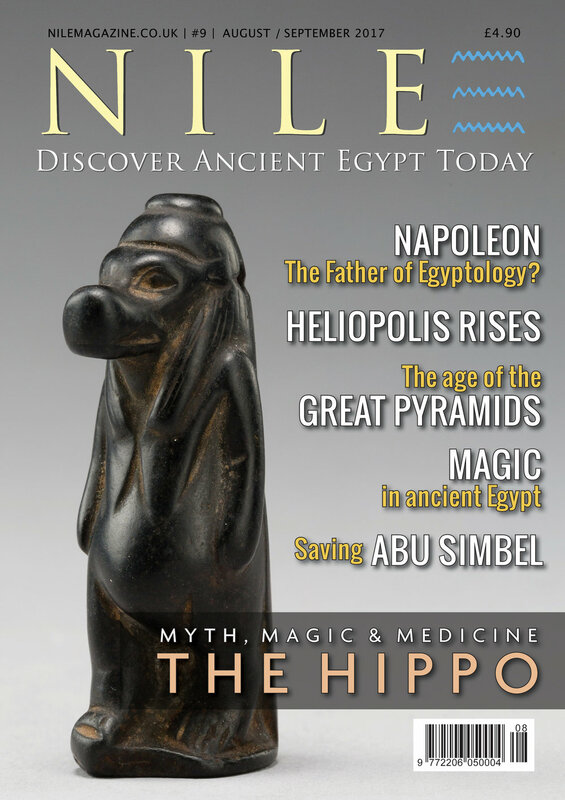 Subscribe to the print or digital editions via the Nile Store page.